HAPPY NEW YEAR! Cheers to another great year. We made it to 2014! I want you to have such an amazing year that I am going to share with you how I have manifested many great things throughout the years. Having new years resolutions is great but having a vision board is way more powerful. You may have heard of vision boards in the past but there is more to it than just putting images together. If you are not doing a few simple steps in the process then you may not be creating and using a vision board effectively. Watch to get the scoop. 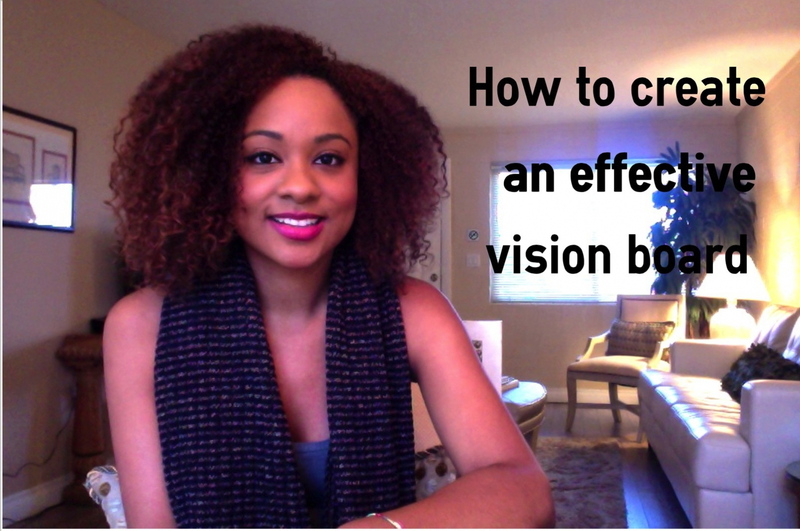 Create your vision board today. Seriously, it only takes a few minutes. In the comments below tell me about your experience creating a vision board or any tips you may have on manifesting your deepest desires. Make sure you share this video with a friend who you think might benefit from watching this. This is just what I need to start the 2014 on the right track! Thank you Sol for the helpful tips, and of course for your endless inspiration! Thank you, Quetoqua. I am glad this post resonated with you.